Positively the finest general use tweezer in the world. Tips are hand-filed and perfectly aligned to grab the hair every time. Stainless steel in colour enamel finish. 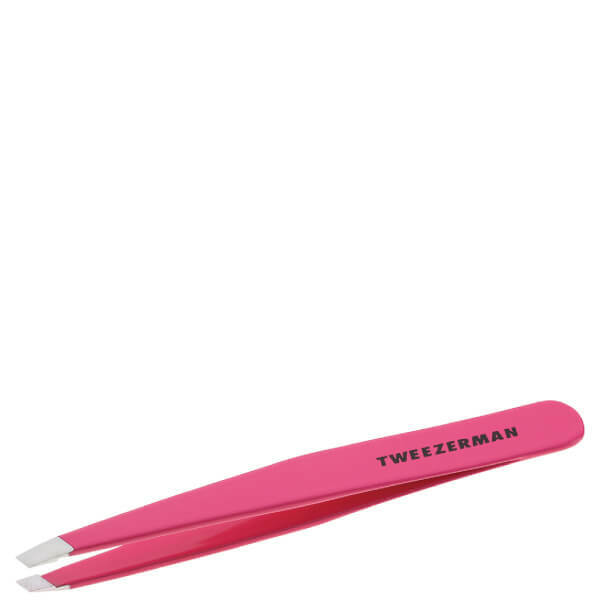 For over 25 years, this award-winning Slant Tweezer, has been the choice of make-up artists, models and celebrities and those who demand the very best. Do not drop tweezers, this can damage the tip and throw the tweezers out of alignment. Spring tension can be increased by gently pulling the two halves apart, but this cannot be reversed. Always replace protective cap on tweezers tip.